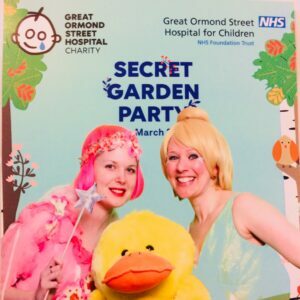 We were very proud to sponsor Great Ormond Street Hospital recently and sent along two of our Children Entertainers in London. Our Funky Fairy and Tinkerbell Kids Entertainers. The children and staff had great time and were thrilled that we could provide these party entertainers to add another level of fun and joy. We really were blessed and thrilled to be able to provide some Themed Characters to add a little magic to the party. Thanks for having us!